We go back in time twenty-five years to meet Service as a young conservation officer. Still fresh from Vietnam, but on home turf, Service has been tapped for an unusual assignment that threatens to be his last. 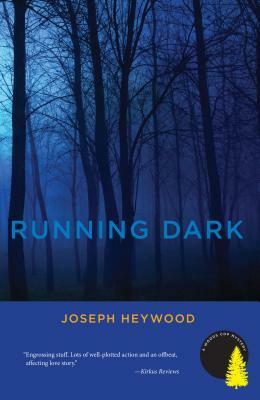 Full of outrageous characters and the verisimilitude the series is known for, Running Dark is a wild and riveting ride. For more on Joseph Heywood and the Woods Cop Mysteries, visit the author's website. Joseph Heywood is the author of the Woods Cop mystery series, a critically acclaimed series published by The Lyons Press that includes Ice Hunter, Blue Wolf in Green Fire, and Chasing a Blond Moon. He is also the author of The Berkut, Taxi Dancer, The Domino Conspiracy, and The Snowfly. He lives in Portage, Michigan.